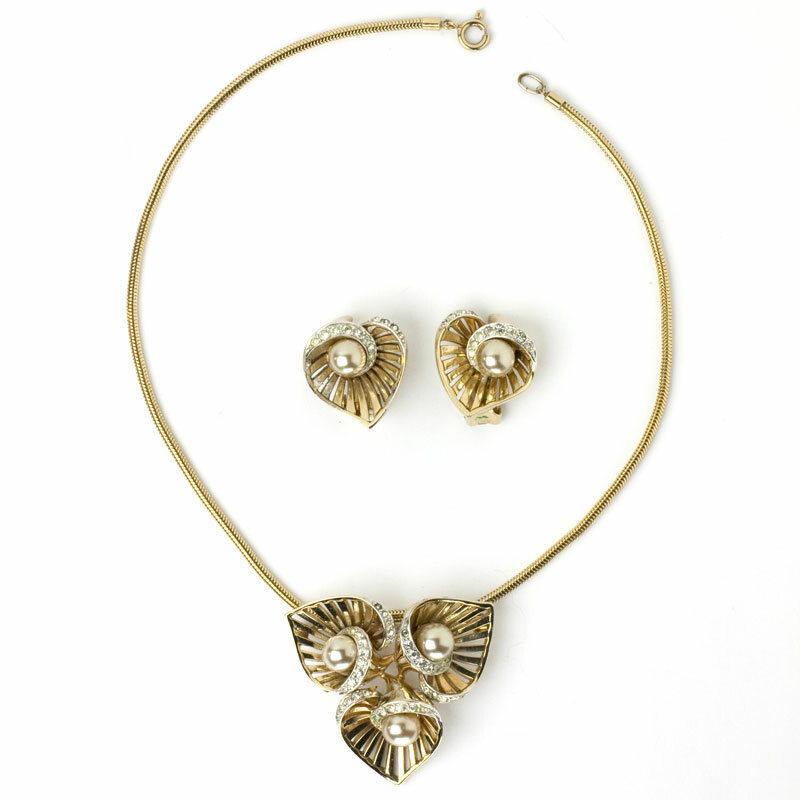 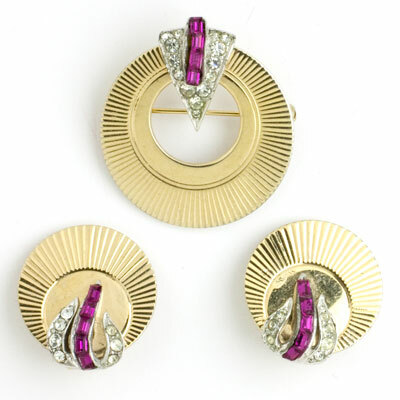 This nice collection of Marcel Boucher jewelry includes brooches, earrings, pendants, and sets from the 1940s-1950s. 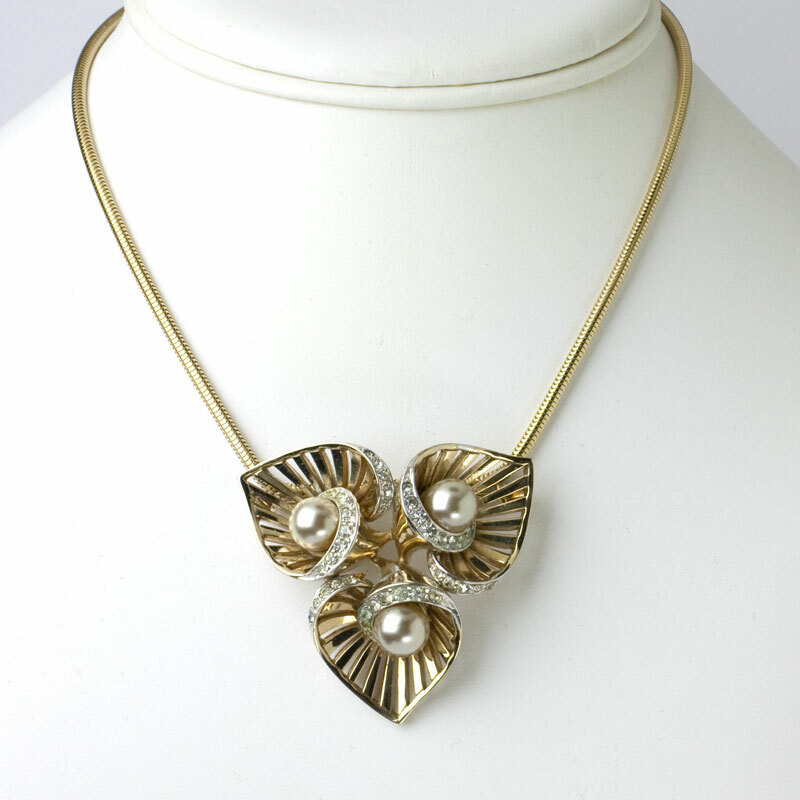 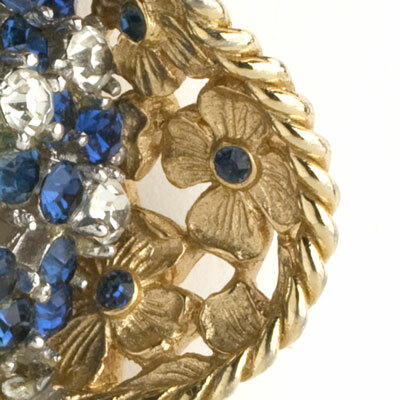 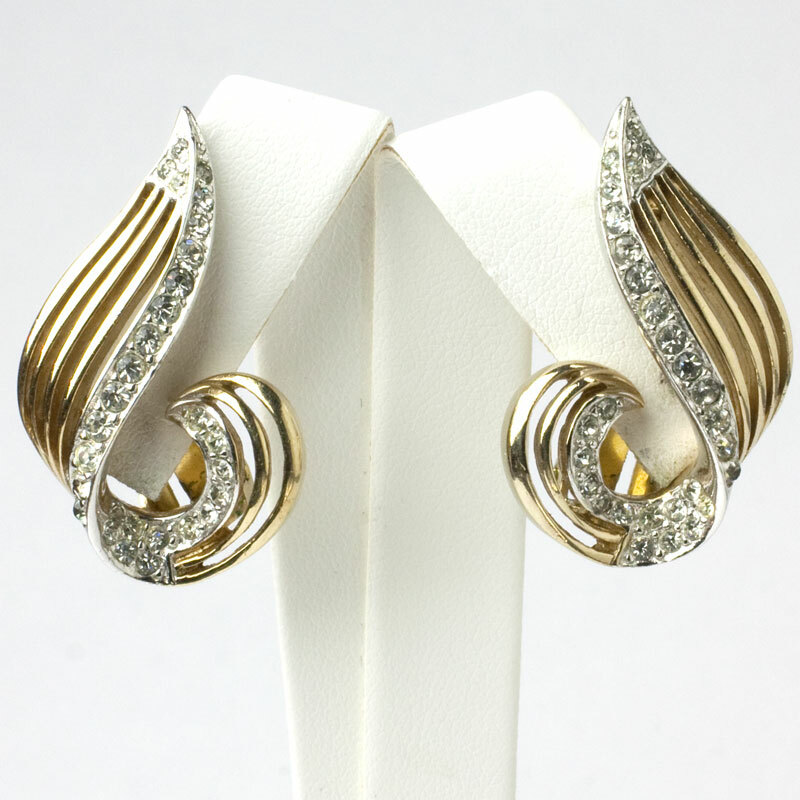 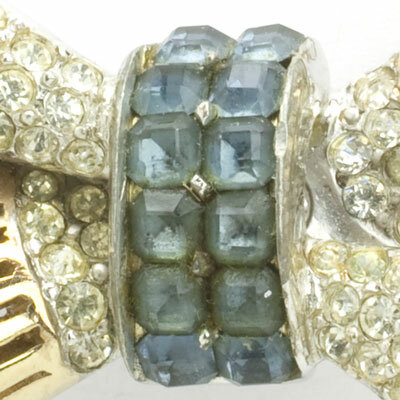 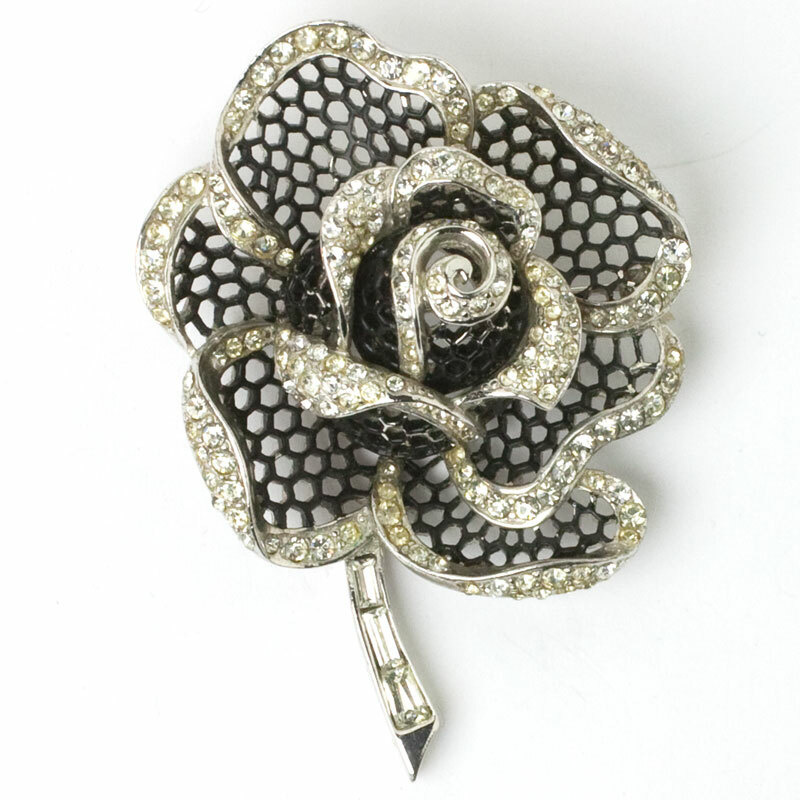 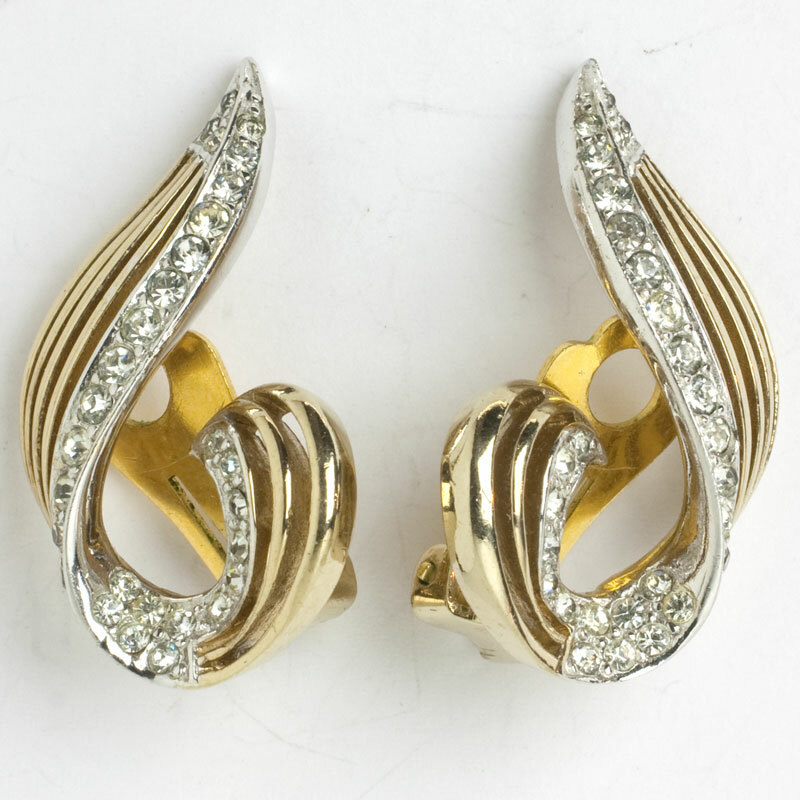 Known for high-quality materials, expert craftsmanship, and unique designs, his pieces typically feature intricate metalwork, rhinestones that resemble real gemstones, top-quality faux pearls, and colorful enamel work. 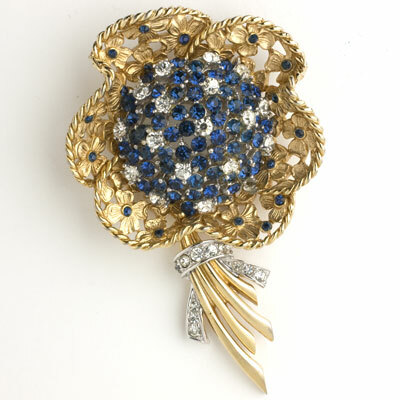 A former fine jewelry maker with Cartier, Boucher was forced to move to the costume jewelry industry during the Great Depression. 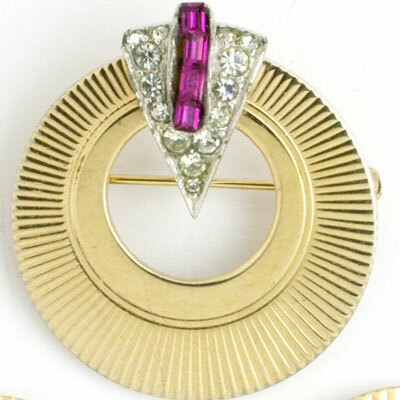 He worked for Mazer Brothers before starting his own business in New York City in 1937. 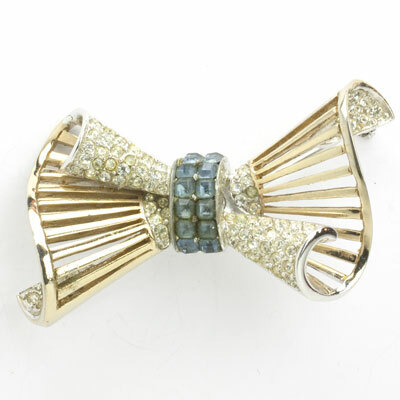 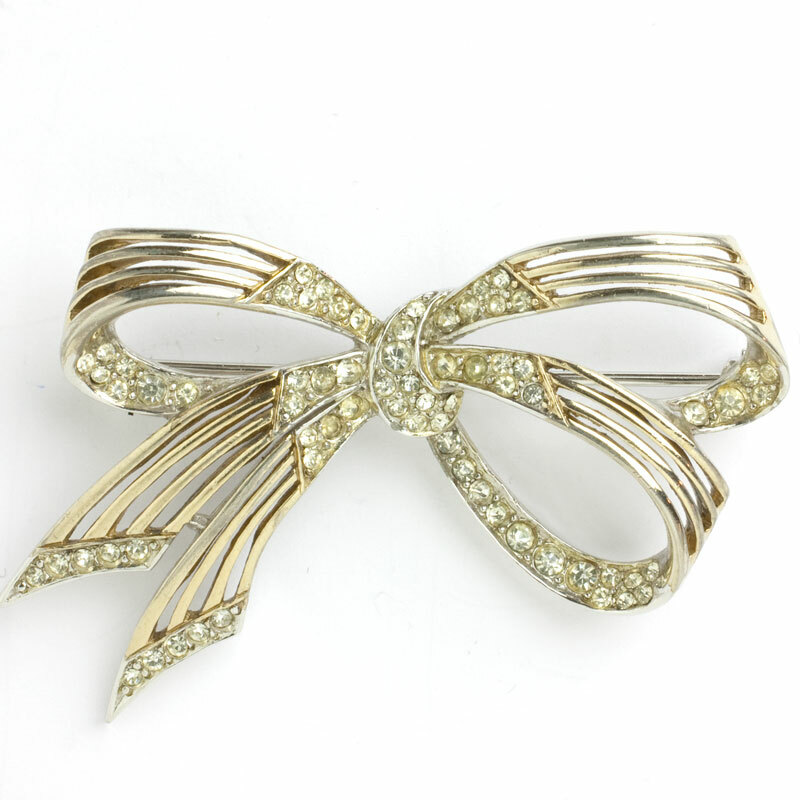 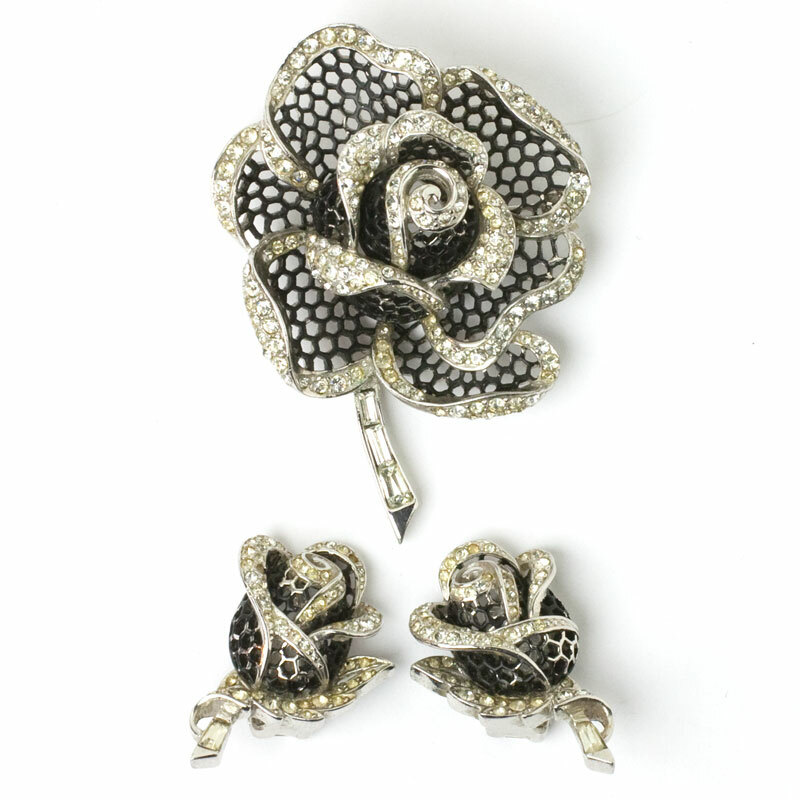 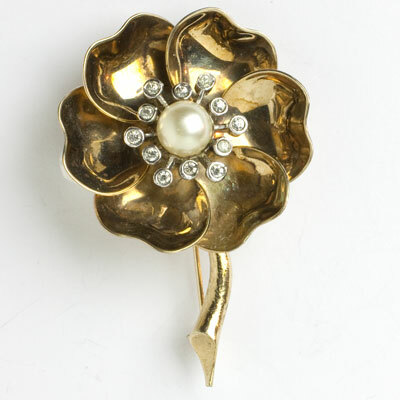 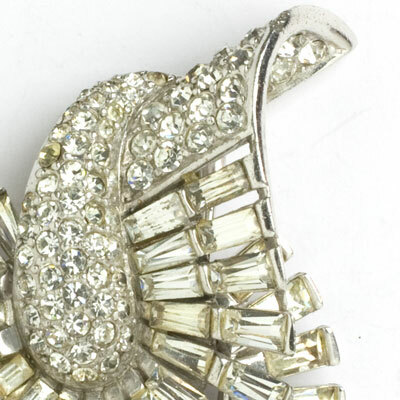 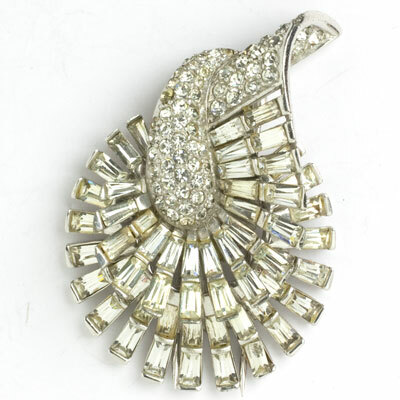 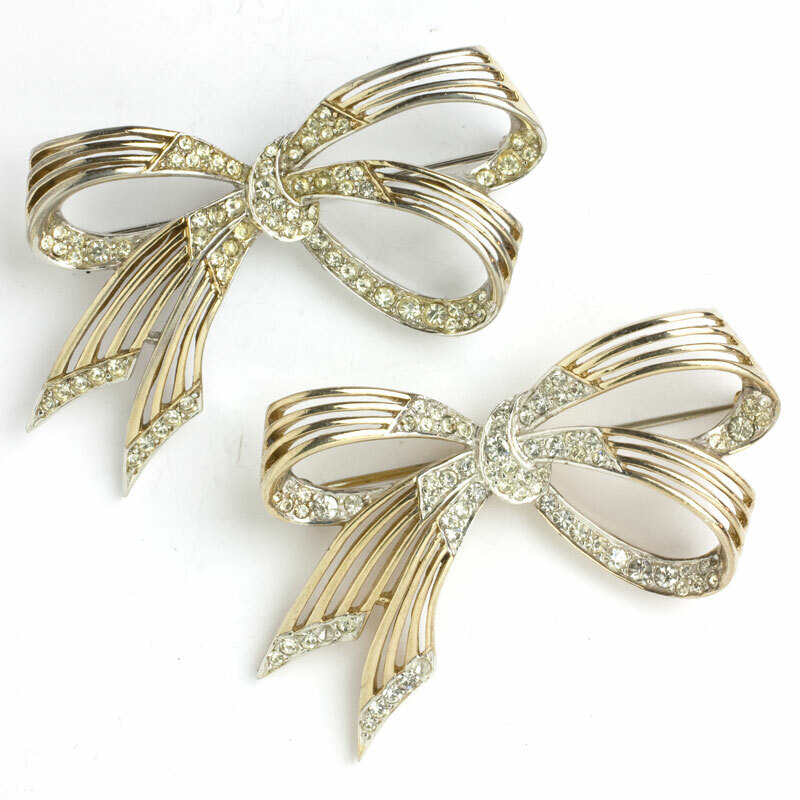 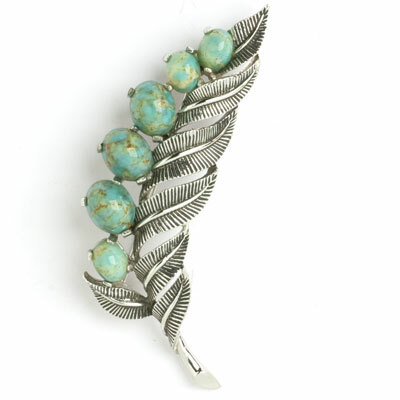 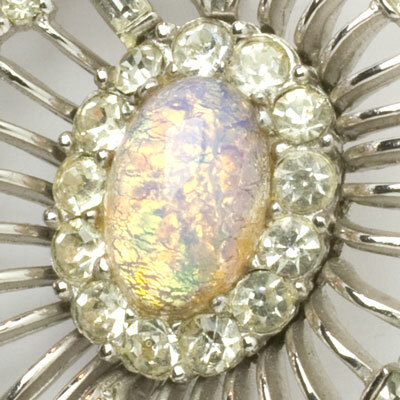 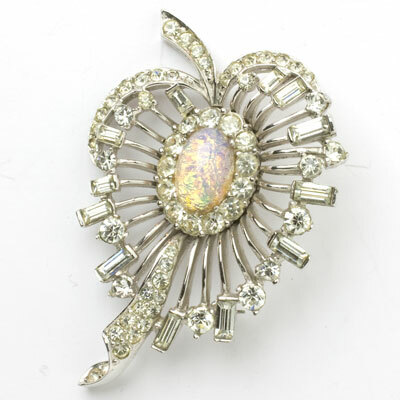 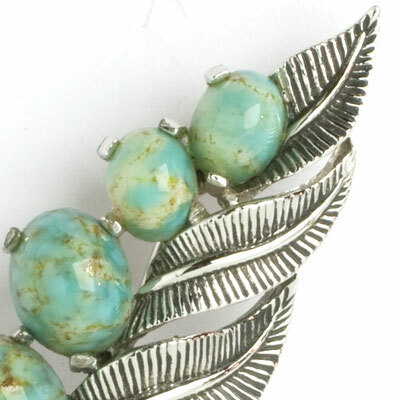 In addition to his jewelry designs, Boucher patented six mechanisms for mounting dress clips – what we call double-clip brooches. 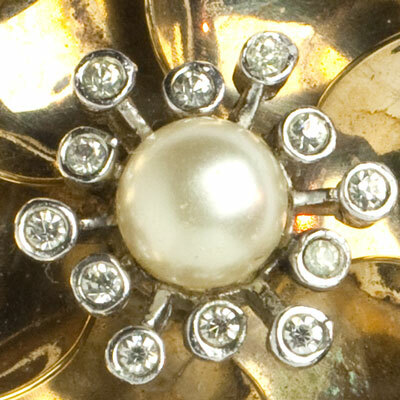 Read more about Marcel Boucher.